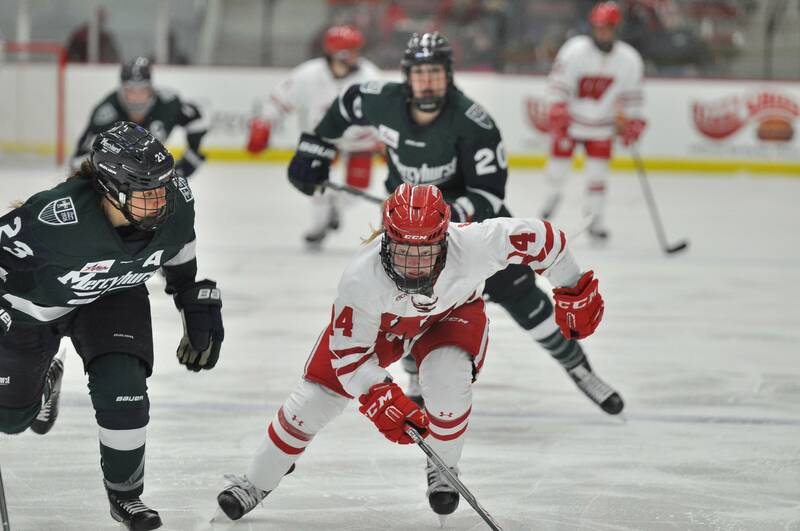 The University of Wisconsin women’s hockey team has been on a roll lately, and this weekend was no exception as the Badgers defeated MercyHurst in a two game sweep. Wisconsin welcomed their second non-conference team to LaBahn on Thursday night, just four days after their previous series against Lindenwood ended. This short turnaround meant that Wisconsin would have little time to recuperate before heading into what was sure to be another very physical series. Although it was MercyHurst’s first game of the season, the Lady Lakers wanted to start their season off with a bang, and nothing would create more waves than taking down the No.2 team in the nation. However, in order to do this, they would need to find a way to stop Wisconsin at their own game, on their own turf. MercyHurst and Wisconsin have met nine times in the past, and each time the Badgers came away victorious. While UW might have won all nine series, they were usually hard fought, and always kept the Badger women on their toes. This series started off rather aggressively, with four penalties tallied by the end of the first period — three from the Lady Lakers and one from the Badgers. It was clear that if MercyHurst couldn’t manage to out-smart the Badgers, they were going to try to out-muscle them. 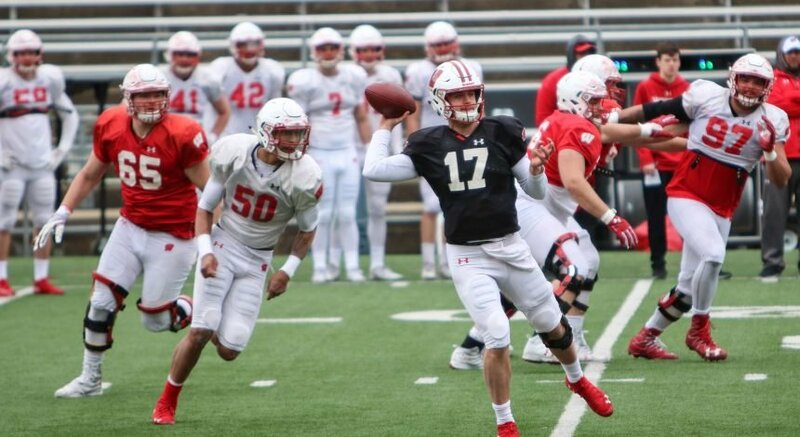 With 23 penalties between the two games — 11 of which were UW penalties — it was clear that MercyHurst was trying to outdo the Badgers in any way possible. Unfortunately for the Lady Lakers, only one of those 11 powerplays would result in a goal. Wisconsin saw many players light the lamp on Thursday and Friday night, with a majority being underclassmen. This year, the underclassmen have been leading the team in scoring, and are showing signs of promise for the WCHA schedule later in the year. Another key player for the Badgers was goaltender Kristen Campbell. 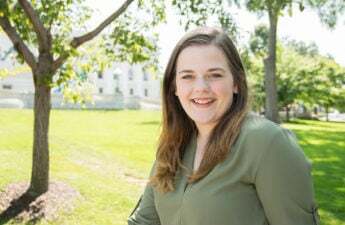 The new Badger netminder has managed to help her team earn five victories this year, with opponents only able to score a single point against UW. She earned her second career shut out this weekend. Wisconsin heads back to the road next weekend to take on the Syracuse women’s hockey team in what is sure to be an exciting weekend series. The series between the Badgers and the Orange starts Friday at 3 p.m.